EghtesadOnline: Iran’s Communication Regulatory Authority is poised to tap into the potential of the already operational Cellphone Registry Scheme to exert further control on the bullish mobile phone market, curb dealers’ profiteering practices and restrain mobile phone hoarders. Aimed at limiting cellphone smuggling, the ICT Ministry, Islamic Republic of Iran Customs Administration, CRA and the Industries Ministry created the Cellphone Registry Scheme that bars local operators from offering services to contraband phones. For implementing the scheme, the relevant authorities use an online database of the IMEI, or the International Mobile Equipment Identity, number of handsets which is a 15- or 17-digit code that uniquely identifies mobile phones, according to Financial Tribune. According to the CRA chief, Hossein Fallah, the gathered data can be used to adopt preventive action against profiteering practices as well, Mehr reported. Fallah said due to the time lag between the entrance of handsets into the country and its activation by customers, authorities are mulling over the option to track the phones from their point of entry until they are delivered to consumers. If mobile phones are traced from the customs until they are sold, Fallah believes they will no longer be stockpiled by avaricious importers. Following US President Donald Trump’s pullout from the 2015 Iran nuclear deal, the USD rate has recorded unprecedented highs against the national currency rial and prompted the government of President Hassan Rouhani to establish the Forex Deals Integrated System (known by its Persian acronym Nima) for businesses to announce their currency needs and be allocated their required currency. 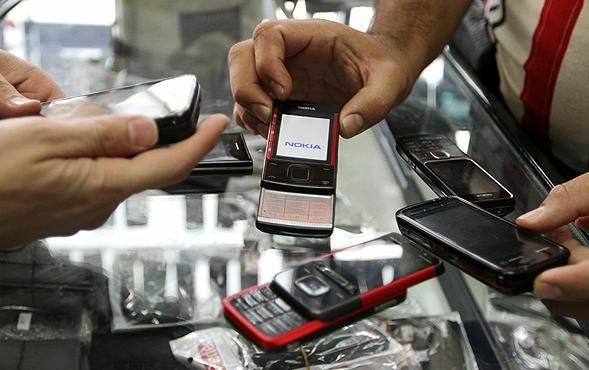 According to reports by the ICT Ministry, 40 mobile importers received hard currencies at subsidized rates and 38 of them either overcharged customers for the handsets they brought into Iran or hoarded them to later sell at higher prices. If Fallah follows through with his proposed plan, the measure can promote transparency and put a stop to some unscrupulous practices in the volatile mobile phone market. Fallah further said since the implementation of the initial phase of the Registry Scheme on October 20, 2017, up to two weeks ago, statistics indicate that over 180 million mobile phones have been registered inside the country. The phased scheme began in October 2017 and ended in May, subjecting all mobile brands to the new directive one by one. The unstable mobile phone market has experienced outrageous price jumps in recent months, leading to a stagnant market with sellers waiting for the rise in the dollar exchange rate to increase the price of the handsets and buyers too devastated with the galloping inflation to even contemplate purchasing a mobile phone unless absolutely necessary. Flagship handsets have seen exorbitant hikes in prices, an instance being the Samsung Galaxy S9 Plus which is currently priced at 130 million rials ($1,228). The phone’s price in the international market stands at $959. The Apple iPhone X-256 exchanges hands at 150 million rials ($1,417), while the device is priced $1,149 in international markets. ICT Minister Mohammad Javad Azari-Jahromi has gone public and said the current prices will not decline due to the USD rate. The dollar exchange rate at the government-regulated market was 108,500 rials at the time this report was published, and the gray market rate stands at around 130,000 rials.